A small animal skull and a horseshoe on wood wall: Santa Cruz Island, California Channel Islands: United States: Travel photography from around the world, including Cuba, Ecuador, Egypt, Germany, Greece, Guatemala, India, Italy, Japan, Mexico, Morroco, Paraguay, Siberia, Taiwan, Tanzania, and the United States. 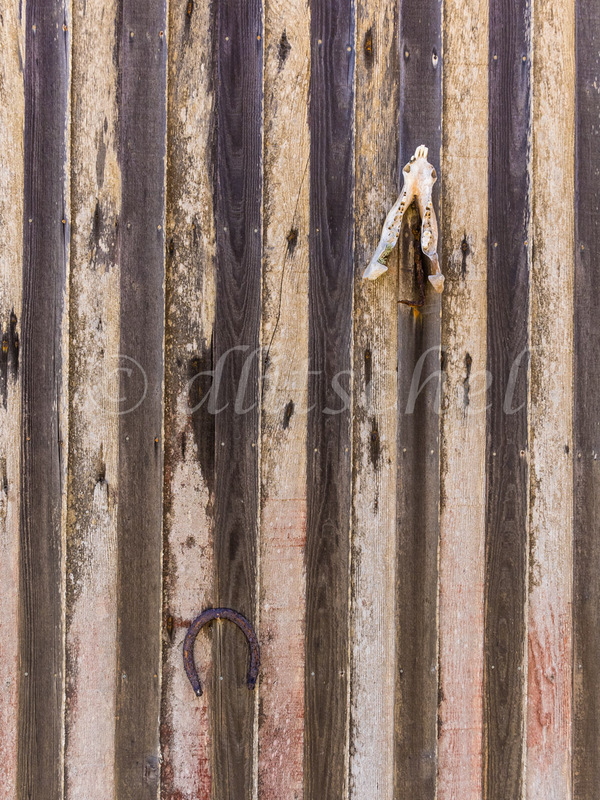 A small animal skull and a horseshoe nailed to a wooden wall made up of vertical slats, Santa Cruz Island. Santa Cruz Island is the largest of the eight islands in the Channel Islands of California.